Ryder continually reinforces its ongoing commitment to U.S. military veterans through its own recruitment and retention initiatives and as a member of the U.S. Chamber of Commerce Veterans Employment Advisory Council. In 2011, Ryder joined Hiring Our Heroes, which strengthens collaboration between the public and private sectors to improve career opportunities for veterans and military spouses. Ryder sponsors and works with Hiring Our Heroes to increase recruitment, through hiring fairs and events. More than 3,000 Ryder employees are military veterans. In 2009, Ryder initiated the Big Brothers Big Sisters School-to-Work Mentoring Program. The program, established by Ryder employees who were already dedicated mentors or "Bigs" pairs Ryder employees with students for one-on-one mentoring for four hours each month during the school year. Employees work with students from three local high schools. The objective of the School-to-Work program is to prepare students for the workforce by matching them with mentors who expose them to workplace practices, career paths, and technologies. Mentors inspire students, encourage them to do well in school and motivate them to graduate. Through its partnership with Easterseals, the Ryder Charitable Foundation supports a range of potentially life-changing educational opportunities for children and adults. Easter Seals' Culinary Arts Vocational Training Program provides hands-on culinary arts training, life skills and vocational support to students 14-22 years old with autism and other disabilities. Infants and toddlers with developmental delays and disabilities receive early childhood education through the Easterseals Child Development Center. For elementary and middle school children diagnosed with autism spectrum disorder and related disabilities, the Easterseals Academy provides an autism-focused special education learning environment. Easter Seals also offers critical care services for families, including adult daycare and in-home respite for caregivers, and Head Start, the early education program for children from low-income families. ASE Education Foundation inspires and prepares young people for fulfilling careers in the automotive service industry. Its focus on excellence in training and certification programs also makes our nation's roads safer and encourages innovation. Through Ryder's partnership with the ASE Education Foundation we enhance workforce skills and safety procedures. 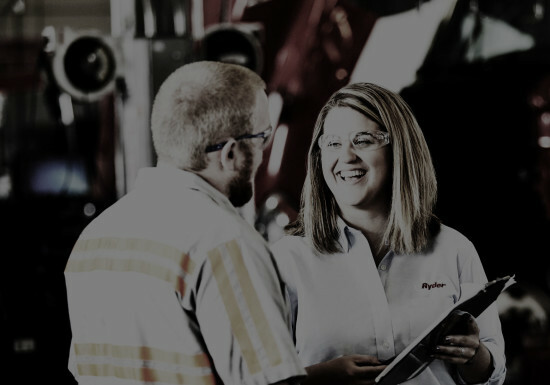 Ryder experts participate in instructor training, including safety inspections and proper maintenance. The Foundation evaluates and accredits entry-level automotive technology education programs against standards developed by the automotive service industry. Its Student Career Development program provides career-readiness education for students, combining local partnerships, rigorous standards-based education, workplace experience and mentorship. The career development process has graduated more than 100,000 career-ready students.